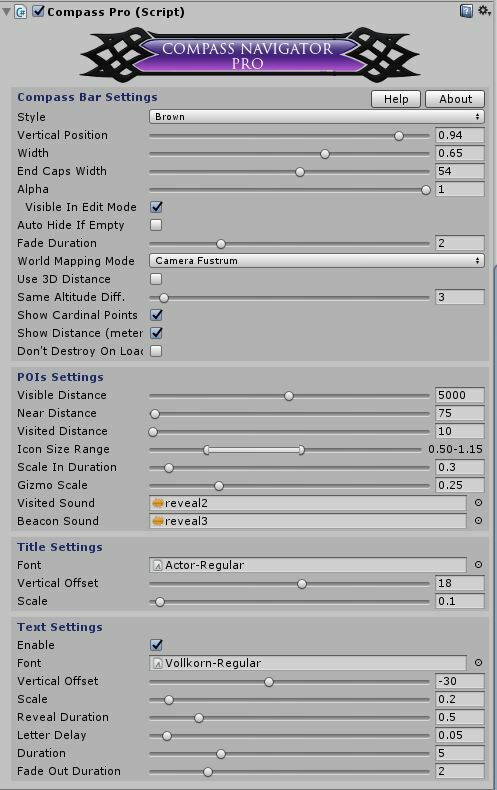 Just wanted to say this is a really sweet asset that I tried with the new ORK integration for Patreon users. Adding it to ORK was probably one of the fastest assets I've added yet with little setup. It adds a really nice element of exploration and discovery feedback a la Skyrim's style of waypoint markers. I'm tying in some Cinemachine events too with it and it adds more depth to my game. Definitely a bonus for supporting ORK through Patreon! I checked this plugin due to the integration, could you elaborate to what is the added features in comparison of Navigation HUD of ORK? It adds mostly visual feedback elements like animated text feedback, POI icon changes, audio cues and adjustment of fine details. I'm re-skinning it and making new POI icons as well as changing the fonts, so excuse this default look. I'll probably decrease the width among other things. And here's a shot of entering the POI range as the POI text appears and music plays. 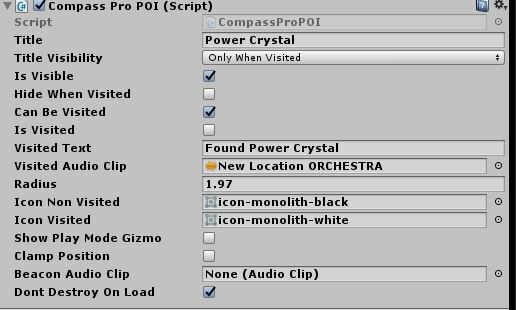 Prior to this I trigger a Timeline event and do a Cinemachine cutscene that pans and zooms down onto the crystal. When a POI is directly in the center of the bar it will show the range as well as Above/Below. wow, thank you for the analysis, I might check it out seems a convenient way to handle POIs. 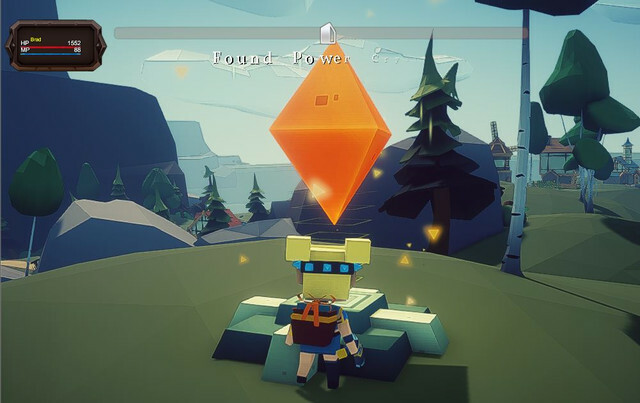 Your game's style looks very good btw. Thanks! I've changed the style so many times now I can hardly keep track but I think this is the last one I'm sticking with.